← hooray!! new phone books are here! really. a chai latte addict. this is awful and i can’t seem to stop. i will go to any lenghts to get chai latte. apparently this product has been discontinued and i can no longer find it in any of the usual retail stores. i have paid ridiculous amounts of money to purchase it online and i fear it will eventually be gone from the internet as well. 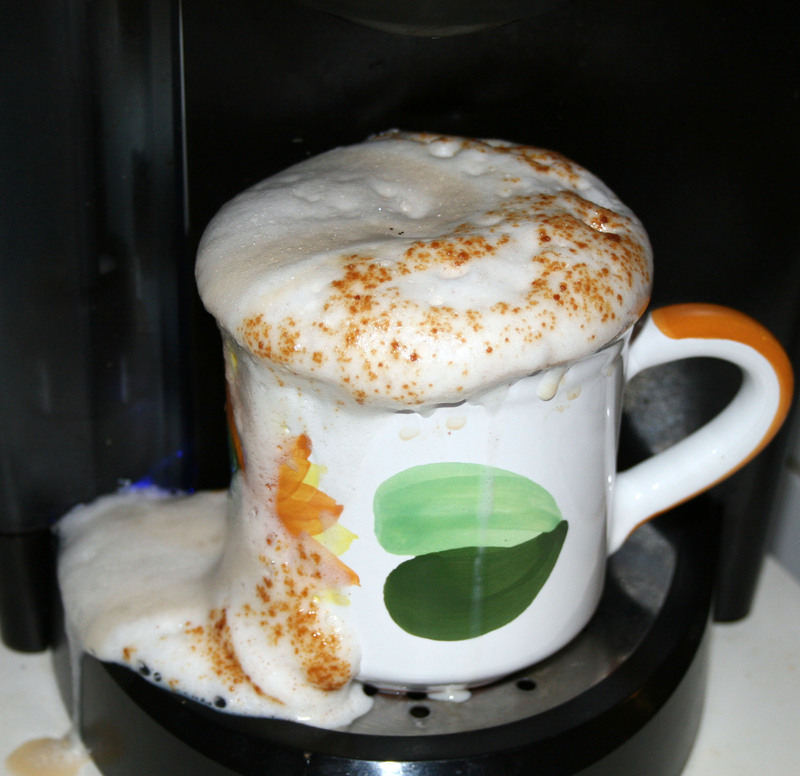 sometimes i get a bit carried away on the frothing. This entry was posted in humor and tagged addiction, chai latte, save your soul, soy milk. Bookmark the permalink.